An atheist is one who disbelieves in the existence of God(s) or rejects theisms. A Jew is a person born to a Jewish mother or who is a convert to Judaism. To my knowledge, there is no Atheist Jewish organization in Germany. In the second half of the 13th century Munich appears to have had a sizable Jewish community; the Jews lived in their own quarter and possessed a synagogue, a ritual bath, and a hospital. On Oct. 12, 1285, in the wake of a blood libel, 180 Jews who had sought refuge in the synagogue were burnt to death; the names of 68 of the victims are listed in the Nuremberg Memorbuch, which dates from 1296. The Jews obtained permission to rebuild the synagogue in 1287, but for several centuries they remained few in number and suffered from various restrictions, which from time to time were further exacerbated (e.g., in 1315 and 1347). During the Black Death (1348/49) the community was again annihilated. However, by 1369 there were Jews in the city once more, and in 1375 Duke Frederick of Bavaria granted them (and the other Jews resident in Upper Bavaria) the privilege of paying customs duties at the same rate as non-Jews. The remission of debts owed to Jews ordained by Emperor Wenceslaus (1378–1400) resulted in Munich Jews losing all their assets. They also suffered severely in 1413, when they were accused of desecration of the Host. In 1416 the small community was granted some privileges, including permission to acquire a lot for a cemetery; in 1432, when Duke Albert III sought to impose a special tax on Munich Jews, the results were disappointing. The clergy succeeded in having all the Jews of Upper Bavaria expelled in 1442, and eight years later they were also driven out of Lower Bavaria, where they had taken temporary refuge. Duke Albert gave the Munich synagogue (in the modern Gruftgasse) to Johann Hartlieb, a physician, and it was subsequently converted into a church. For almost three centuries Jews were excluded from Munich and Bavaria (although there may have been some periods when their residence was permitted, as may be deduced from a renewal of the ban announced in a 1553 police ordinance). During the Austrian occupation, Jews were readmitted to Bavaria and some of them presumably found their way to Munich. At any rate, a new decree issued on March 22, 1715, again ordered them to leave the country. Some ten years later, a few Jews who had business dealings with the Bavarian count began to settle in Munich, and by 1728 several Jews resided in the city. In 1729 (or 1734) the Court Jew, Wolf Wertheimer, took up residence there and was joined by his family in 1742; in 1750 all Court Jews and Jews in possession of passes granting them freedom of movement were excepted from the general ban on Jewish entry into the city. A community was formed by Jews who maintained connections with the court. Of the 20 of them in 1750, there was only one woman and a single child, which attests to the temporary and migratory nature of the settlement. Except for these Schutzjuden, the only Jews permitted to reside in the city were those who had been commissioned as purveyors or who had made loans to the state; all others were permitted to stay in the city for a short while only and had to pay a substantial body tax (Leibzoll). This situation continued for most of the 18th century, and it was not until 1794 and 1798 that the number of women and children in the city was commensurate with the number of heads of families. In 1794 there were 153 Jews, including 27 heads of families, 28 women, and 70 children; in 1798 the respective figures were 35, 33, and 98. Up to the end of the 18th century, Jewish women had to go to Kriegshaber to give birth to their children, and it was not until 1816 that Jews were permitted to bury their dead in Munich rather than transport them to Kriegshaber for burial. At this time Munich Jews earned their livelihood as contractors for the army and the royal mint (see mint-masters), merchants dealing in luxury wares and livestock, moneylenders, and peddlers. Since there was no legal basis for their residence in Munich, they did not have the right to practice their religion, and every year they had to pay a special tax to enable them to observe Sukkot. In 1805 a "Regulation for Munich Jewry" was issued (it formed the basis for the Bavarian Judenmatrikel of 1813); among other privileges, the Jews were permitted to inherit the right of domicile, to conduct services, and to reside in all parts of the city. During the Napoleonic Wars, the number of Jews was augmented by immigrants, and by 1814 there were 451 Jews in the city. Two years later, the Jewish community was formally organized. In the same year the community was given permission to establish a cemetery, and in 1824 a permit was issued for the construction of a synagogue (dedicated in 1827). The first Jewish religious school was founded in 1815 and a private one in 1817. The community played a leading part in Bavarian Jewry's struggle for civil rights, which lasted up to the founding of the German Reich (1871); delegates of the Bavarian communities frequently met in Munich (1819, 1821) to make common representations to the government. In the second half of the century the community grew further (from 842 in 1848 to 4,144 in 1880, and 8,739 in 1900) as a result of increased immigration from the smaller communities (especially in the last few decades of the 19th century). By 1910, some 20% of Bavarian Jews lived in the capital (11,000). There was also a steady immigration of Jews from Eastern Europe, mainly from Galicia, which lasted up to World War I.
Jews were prominent in the cultural life of Munich, a center of German arts, in the late 19th and 20th centuries, as well as being more equally represented in Bavarian political affairs than in other German states. After World War I a revolutionary government on the Soviet model was formed, in which Kurt Eisner, Eugene Levine, and Gustav Landauer were prominent. It was routed by counterrevolutionary forces, and a "White Terror" against Communists, Socialists, and Jews was instigated. In the postwar years of economic and political upheaval, Munich was a hotbed of antisemitic activity and the cradle of the Nazi party; many Jews from Eastern Europe were forced to leave Munich. Sporadic antisemitic outbursts characterized the years until the Nazi seizure of power in 1933, when Reinhold Heydrich and Heinrich Himmler took control of the police; the first concentration camp, Dachau, was erected near Munich. At the time, the community numbered 10,000 persons, including an independent Orthodox community and many cultural, social, and charitable organizations. 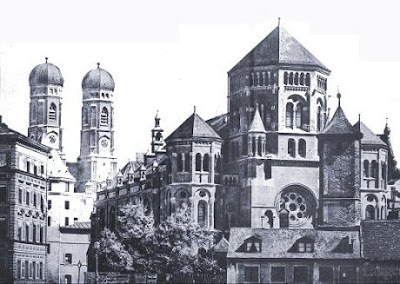 Munich Jewry was subjected to particularly vicious and continuous acts of desecration, discrimination, terror, and boycotts but responded with a Jewish cultural and religious revival. Between 1933 and May 15, 1938, some 3,574 Jews left Munich. On July 8, 1938, the main synagogue was torn down on Hitler's express orders. During the Kristallnacht, two synagogues were burnt down, 1,000 male Jews were arrested and interned in Dachau, and one was murdered. The communal center was completely ransacked. During the war a total of 4,500 Jews were deported from Munich (3,000 of them to Theresienstadt); only about 300 returned; 160 managed to outlive the war in Munich. A new community was founded in 1945 by former concentration camp inmates, refugees, displaced persons, and local Jews. In the following five years, about 120,000 Jews, refugees, and displaced persons passed through Munich on their way to Israel. In 1946 there were 2,800. The community increased from 1,800 persons in 1952 to 3,522 in January 1970 (70% of Bavarian Jewry). In 1966 a Jewish elementary school was opened, the second in Germany, but the postwar community was repeatedly troubled by acts of desecration and vandalism (against synagogue and cemetery). In March 1970 the Jewish home for the aged was burned down and seven people lost their lives. During the Olympic games, which took place in Munich in 1972, Palestinian terrorists took eleven Israeli sportsmen as hostages. All of them died. The Jewish community numbered 4,050 in 1989, 5,000 in 1995, and 9,097 in 2004, making it the second largest Jewish community in Germany. The increase is explained by the immigration of Jews from the former Soviet Union. 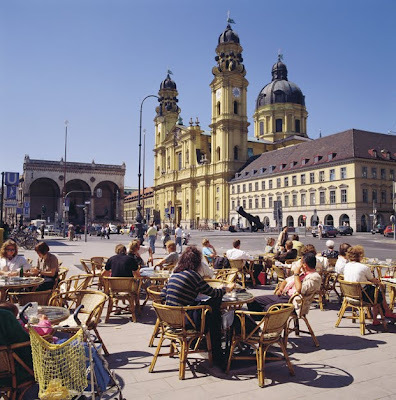 The Munich Odeonsplatz is a large and beautiful square bordered by the Feldherrnhalle (Field Marshal's Hall), the Italianesque Theatinerkirche and the Hofgarten, a former court garden. The Feldherrnhalle consists of three arches, with at the entrance two Bayern lions. The building was designed in 1841 by Friedrich von Gärtner after the Loggia dei Lanzi in Florence, Italy  on request of Ludwig I in honour of Bayern generals. On 2 August 1914, Adolf Hitler attended a rally at the Odeonsplatz to celebrate the declaration of WWI. 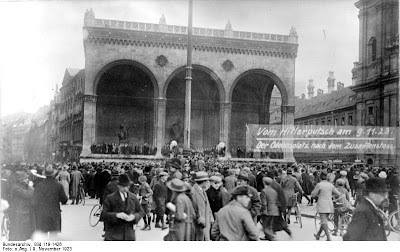 On 9 November 1923, police stopped Hitler's attempt to bring down the Weimar Republic - the so-called Beer Hall Putsch  - at the Odeonsplatz. A fierce skirmish with the police left 16 Nazis and 4 policemen dead. Hitler was injured, captured shortly thereafter and sentenced to a prison term. 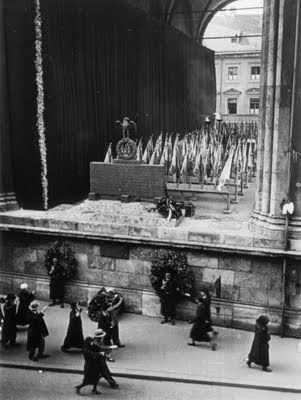 When Hitler was in power, a memorial to the fallen putschists was erected on the east side of the Feldherrnhalle, opposite the spot in the street where the dead had fallen and the putsch had been halted. 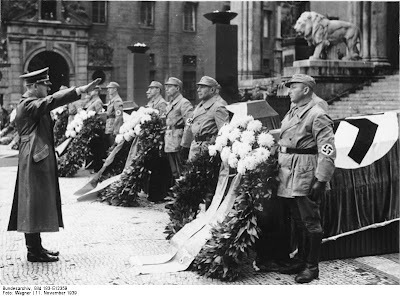 The memorial was guarded perpetually by SS guards, and all who passed the memorial had to give the Nazi salute. 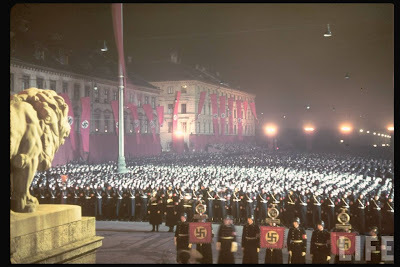 Each year special parades were held in Munich on November 9 for the commemoration of Hitler's unsuccessful Putsch. On November 9, 1938, the Nazis unleashed a wave of pogroms against Germany's Jews, known as Crystal Night or the Night of Broken Glass . “In Russia, I was discriminated for being a Jew. In Germany, the Jewish community does not let me become a member because my mother was not Jewish,” Diana K., a Ukrainian immigrant to Berlin told European Jewish Press . Over the last 15 years more than 200,000 Jews have immigrated to Germany from the former Soviet Union (CIS). Recent statistics compiled on behalf of the German government show that 205,905 Jews came from the CIS to Germany between 1991 and 2005. The largest influx of arrived between 1995 and 2004, when an estimated 10,000 Jews per year entered Germany as permanent residents. Many of the Jews were driven out of the CIS after an upsurge in anti-Semitism. When the Berlin Wall fell in 1989, Soviet Jews feared an increase in anti-Semitic violence. And indeed, anti-Semitic violence and hate propaganda surged when newly-founded right-wing parties and nationalist groups took advantage of the political freedoms that resulted with the demise of communist party hegemony. In the early 90s, most Jews left with the pretext that the newly founded Russian Federation was becoming increasingly dangerous for Jews and other minorities. Until January 2005, Jews from the former Soviet Union could enter Germany as contingency refugees. This status allowed Jews to be able to get around Germany’s ever-increasing immigration restrictions. The contingency-refugee law, passed on January 9 1991, did not limit the number of Jews that could enter Germany. It was also an open-ended law – meaning that there were no time restrictions forcing Jews to make the decision of whether or not to emigrate or when. The German government has recognised that a great many immigrants from the former Soviet Union have been seeking to establish residency in Germany for the sole purpose of bettering their economic standing or in order not to lose their chance at being allowed to receive automatic residency. Nonetheless, the government has exercised restraint over the past 15 years. Knowing that it had a historical debt to pay to the Jews of Europe, it sought to right a historical wrong by supporting the re-population of former Jewish centres throughout Germany through its Jewish immigration policy. However, the government has come under increasing pressure to revamp its failed integration policies. But even the cash strapped Jewish communities want to see more involvement in their congregations by the new immigrants, should they seek to live in Germany – and have thus found a consensus with immigration policy makers. “If the immigrants do not want actively participate in Jewish life here, then what on earth are they coming here for… they might as well stay home” one disgruntled Berlin community member told EJP. The member lamented that at least half of all CIS Jews have not registered with a local congregation. In fact, of the 220,000 Jews living in Germany today, only 120,000 are officially registered with any congregation associated with the Central Council of Jews in Germany. “Many of the Russians are not members because many of them are not Jewish in the first place,” one Dresden Jewish community leader told EJP [2,3]. She was referring to Jewish law which prescribes that a Jew is a person born of a Jewish mother. German immigration policy, however, has also let the offspring of Jewish fathers into Germany as contingency-refugees. “Anyone descended from a Jew, whether from a Jewish mother or, only, a Jewish father was considered ethnically Jewish in the former Soviet Union. Anyone there that was branded ‘Jewish’ was open game to all forms of discrimination. Therefore, the German government did not distinguish between a people whose mother or only whose father was Jewish,” an interior ministry source said. This policy has, however, also created a social problem among the contingency-refugees within Germany’s established Jewish community structures. Many of these so-called not-Jewish-Jews are not considered Jewish by their local congregations, even though they have shown an interest in becoming a member of a congregation. “In Russia, I was discriminated for being a Jew. In Germany, the Jewish community does not let me become a member because my mother was not Jewish,” Diana K., a Ukrainian immigrant to Berlin told EJP. “If being Jewish is a heritage, then it must also come from the father,” Diana said. The Jewish communities have offered to convert these immigrants. However, many contingency-refugees, such as Diana, told EJP that they do not think it is right for them to have to convert to something that they feel that they already are. Like in Israel, many Russians who have immigrated here are neither Jewish from either their mother or father’s side. Some are the spouses of Jews. However, many have used falsified documents claiming to be Jews for the sole purpose of obtaining easy visa for a western country. Since last year, the Jewish roots of new immigrants are being more severely scrutinised at German consulates throughout the CIS. As a result of the tightening up of the contingency-refugee laws, which also makes it mandatory for new arrivals to become active members of a Jewish synagogue congregations, fewer Jewish immigrants have been coming into Germany. Last year, less than 6,000 Jews entered Germany from CIS countries. So far this year, fewer than 400 Jews have immigrated to Germany. Non-Jewish spouses and children will still be let into Germany, as long as the Jewish partner fulfils the new requirements. Perhaps due to Germany’s historical responsibility towards Jews, government analysts have avoided scrutinising the integration processes of the contingency-refugees. Thus, official statistics about the integration of Jews is not available. One source told EJP that most offspring of CIS-Jewish immigrants have learned German and, unlike immigrants from most other non-EU countries, an above average number of them have gone on to further their education. However, many of their parents cannot speak German properly and have been collecting some form of state aid. Also, many have been unwilling to identify with Germany at all. In fact, many have shown open disdain for their host country as a result of its Nazi past. At a leadership conference of Germany’s Jewish Student Union, last year, the question of whether the Union should better integrate itself with other student organisations was rejected. Most of the student leaders underlined the fact that Jews were still not being accepted by other groups as full-fledged citizens and thus they did not feel that any alliance with other student or civic organisations would further their cause. Because of their claim that Germany is severely riddled in latent anti-Semitism, about half of the student leaders even claimed that they were still in Germany only because of their parents and that Germany was nothing more than a way-station for them on their final road to Israel or countries with a less tainted past. In order to combat language and social deficits among its migrant population, the government has intensified its offer of German and integration courses – free of charge. Such courses are now mandatory for recipients of welfare benefits. For many Jews from the CIS, these courses have been made available at Jewish community centres throughout Germany. However, as one critic put it, “how do you expect these Russian speaking Jews to properly learn German or to integrate with other cultures in Germany if their courses are held among themselves… this is indicative of why integration has been failing”. For years, Andreas Christoph Wankum was the Hamburg, Germany, Jewish community’s favorite son. A self-made millionaire who made his fortune in real estate, he signed fat checks to Keren Hayesod, the influential pro-Israel charity. When Communism collapsed in Hungary, he was instrumental in helping many of that country’s Jews make aliya. He funded scores of Jewish philanthropies in Israel and Germany alike, including a Birthright-type initiative that sent local Jewish students on their first visit to the Jewish state. There was only one problem: he may not have been Jewish, and the rabbi who appointed him to the presidency of the Hamburg branch of Keren Hayesod, the global equivalent of the United Jewish Communities, may not even been a real rabbi. As if being a Jew in Germany wasn’t complicated enough, this case of identity wars is threatening to tear apart Hamburg’s Jewish community, which is one of Germany’s most resurgent and influential. And, like so many things in Germany, this affair is all about adhering to the rules. Born in 1955, Wankum first discovered his Jewish roots when he was 13. Observing that his neighbors, the Wolfs, shut down their dry-cleaning business every Saturday, he asked his mother about this odd business practice. The Wolfs, she said, were Jewish, and so were the Wankums, even though they’d concealed it during the war for obvious reasons. Enamored with his new identity, Wankum reached out to Hamburg’s Jewish community, and even received documents from its leaders that helped him avoid military service. But his Jewish provenance remained questionable, and he never joined the community as a full-fledged member. In 1999 when Wankum was offered the presidency of the local branch of Keren Hayesod, he found himself facing an unexpected hurdle. To accept the position, he was told, he needed to be an official member of the community. And to do that, he needed to prove, beyond any doubt, that he was indeed Jewish. He was helped in his quest by Rabbi Dov Levi Barzilai, Hamburg’s chief orthodox rabbi. In December of 1999, Barzilai heard four witnesses, including Wankum’s brother and his wife’s uncle, and then signed a paper declaring, officially, that Wankum was a Jew. Soon thereafter, Wankum accepted his new position. Under Wankum’s leadership, Keren Hayesod experienced unparalleled success. But in late December 1999, following terrible liquidity problems with his company, Wankum declared bankruptcy, which, in Germany’s unremitting political and economic landscape, is a death sentence: Bankruptcy and debt are unacceptable, and forgiveness is never offered. To anyone, that is, but Wankum. Remembering his charitable past, his fellow community members kept him in their warm embrace, and, in 2003, bestowed on him the highest honor imaginable, the chairmanship of Hamburg’s Jewish community. Guided by his suspicions, Knauer started to ask around about Wankum and his religious affiliations. Wankum, on his end, kept referring the reporter to Rabbi Barzilai, and claimed that 2,000 years of Jewish history gave him the right not to talk to the media. Rabbi Barzilai, however, would do no such thing, and an exasperated Herzberg began looking into the rabbi’s conduct. During one such investigation, he learned that several community members, Wankum among them, had no documents certifying his Jewishness. Alarmed, he asked the rabbi to provide proof that Wankum was indeed a Jew. Herzberg fired Rabbi Barzilai, an act he he’s claimed in previous interviews with the press was motivated by financial issues, with the community refusing to pay his pension. Some of his colleagues in the community were so livid about what they perceived to be Wankum’s deception that they suggested digging Wankum’s deceased mother from her grave in the Jewish cemetery and interring her elsewhere. Within months, former collaborators became the worst of enemies. I read with wry amusement the following post (see below in italics). In my personal experience, Jewish communities and Jewish associations in Germany - and specifically in Bavaria - are utterly, completely and supremely unwelcoming. The truth is that the Moses-Mendelssohn Center in Potsdam has absolutely no estimate whatsoever of how many Jews who are not members of a community live in Germany. So I would be very curious to hear who in Germany has any “expertise” on the question. Julius Schoeps, historian and head of the Moses-Mendelssohn Center in Potsdam in view of declining figures of member in Jewish Communities in Berlin as well as Brandenburg suggested to pool them together in order to keep the Jewish Communities “alive”. In Berlin for instance last year there was a decrease of 121 people. 139 arrivals (immigrants, removals and births) contrasted 260 leavings (deaths, removals). The decrease is an underestimated trend for some years. In 2003 the Jewish Community in the German Capital had more than 13.000 members, now at the end of 2008 the figure shrank to mere 10.794 (that is a downturn of 17 % in 5 years). Smaller communities of course are affected by this trend more badly, the more so because there was a trend in recent years that Communities like Berlin advanced there growth by people moving in from surrounding localities. The situation in Berlin and Brandenburg is representative for the situation of the development in whole Germany. The figure of immigrants decreased to less than one thousand a year – it was at an annual average of 10.000 a couple of years ago. Since a vast majority of the immigrants from former Soviet Union were elderly people, figure of deaths is exceeding nationwide. Especially in smaller communities there are few births, circumcisions or bar mitzvahs. As few experts predicted the figures of Jewish growth in Germany had reached the point of culmination in 2004/5 and are decreasing since. 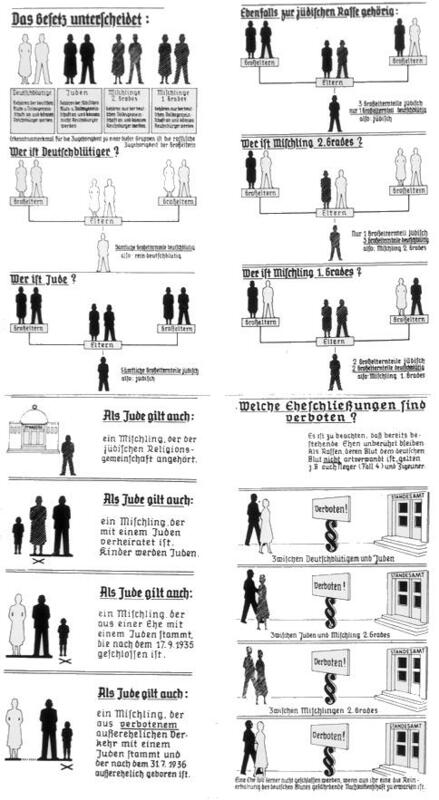 The high rate of inter-marriages, the increasing leaning towards splitting up into sectarian “liberal” or “reform” communities as well as the current age distribution illustrate that the often acclaimed “normalization” of Jewish life in Germany merely was a kind of flash in the pan. You don’t need to be a prophet to predict that the speed of the diminishment will increase. Maybe as early as 2025 the figures of Jews in Augsburg, Bavaria and Germany again will reach the level of 1990. Though Europe thrives, its writers and politicians are preoccupied with death. 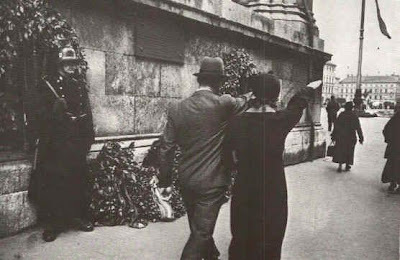 The mass killings of European civilians during the 1930s and 1940s are the reference of today's confused discussions of memory, and the touchstone of whatever common ethics Europeans may share. The bureaucracies of Nazi Germany and the Soviet Union turned individual lives into mass death, particular humans into quotas of those to be killed. The Soviets hid their mass shootings in dark woods and falsified the records of regions in which they had starved people to death; the Germans had slave laborers dig up the bodies of their Jewish victims and burn them on giant grates. Historians must, as best we can, cast light into these shadows and account for these people. This we have not done. Auschwitz, generally taken to be an adequate or even a final symbol of the evil of mass killing, is in fact only the beginning of knowledge, a hint of the true reckoning with the past still to come. This form of survivors' history, of which the works of Primo Levi are the most famous example, only inadequately captures the reality of the mass killing. The Diary of Anne Frank concerns assimilated European Jewish communities, the Dutch and German, whose tragedy, though horrible, was a very small part of the Holocaust. By 1943 and 1944, when most of the killing of West European Jews took place, the Holocaust was in considerable measure complete. Two thirds of the Jews who would be killed during the war were already dead by the end of 1942. The main victims, the Polish and Soviet Jews, had been killed by bullets fired over death pits or by carbon monoxide from internal combustion engines pumped into gas chambers at Treblinka, Be zec, and Sobibor in occupied Poland. Auschwitz as symbol of the Holocaust excludes those who were at the center of the historical event. The largest group of Holocaust victims—religiously Orthodox and Yiddish-speaking Jews of Poland, or, in the slightly contemptuous German term, Ostjuden—were culturally alien from West Europeans, including West European Jews. To some degree, they continue to be marginalized from the memory of the Holocaust. The death facility Auschwitz-Birkenau was constructed on territories that are today in Poland, although at the time they were part of the German Reich. Auschwitz is thus associated with today's Poland by anyone who visits, yet relatively few Polish Jews and almost no Soviet Jews died there. The two largest groups of victims are nearly missing from the memorial symbol. An adequate vision of the Holocaust would place Operation Reinhardt, the murder of the Polish Jews in 1942, at the center of its history. Polish Jews were the largest Jewish community in the world, Warsaw the most important Jewish city. This community was exterminated at Treblinka, Be zec, and Sobibor. Some 1.5 million Jews were killed at those three facilities, about 780,863 at Treblinka alone. Only a few dozen people survived these three death facilities. Be zec, though the third most important killing site of the Holocaust, after Auschwitz and Treblinka, is hardly known. Some 434,508 Jews perished at that death factory, and only two or three survived. About a million more Polish Jews were killed in other ways, some at Chelmno, Majdanek, or Auschwitz, many more shot in actions in the eastern half of the country. All in all, as many if not more Jews were killed by bullets as by gas, but they were killed by bullets in easterly locations that are blurred in painful remembrance. The second most important part of the Holocaust is the mass murder by bullets in eastern Poland and the Soviet Union. It began with SS Einsatzgruppen shootings of Jewish men in June 1941, expanded to the murder of Jewish women and children in July, and extended to the extermination of entire Jewish communities that August and September. 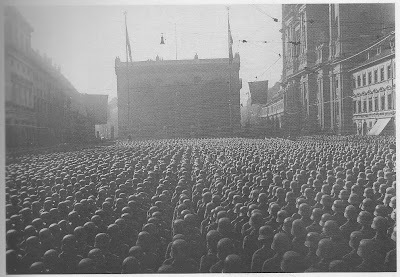 By the end of 1941, the Germans (along with local auxiliaries and Romanian troops) had killed a million Jews in the Soviet Union and the Baltics. That is the equivalent of the total number of Jews killed at Auschwitz during the entire war. By the end of 1942, the Germans (again, with a great deal of local assistance) had shot another 700,000 Jews, and the Soviet Jewish populations under their control had ceased to exist. There were articulate Soviet Jewish witnesses and chroniclers, such as Vassily Grossman. But he and others were forbidden from presenting the Holocaust as a distinctly Jewish event. Grossman discovered Treblinka as a journalist with the Red Army in September 1944. Perhaps because he knew what the Germans had done to Jews in his native Ukraine, he was able to guess what had happened there, and wrote a short book about it. He called Treblinka "hell," and placed it at the center of the war and of the century. Yet for Stalin, the mass murder of Jews had to be seen as the suffering of "citizens." Grossman helped to compile a Black Book of German crimes against Soviet Jews, which Soviet authorities later suppressed. If any group suffered especially under the Germans, Stalin maintained wrongly, it was the Russians. In this way Stalinism has prevented us from seeing Hitler's mass killings in proper perspective. The Warburg saga can be traced to 1559, when a German Jew known as Simon of Cassel moved from Hesse to Warburg, a town in Westphalia. There he worked for the Prince-Bishop of Paderborn as a moneychanger and pawnbroker, two of the very few professions the Catholic authorities in the region permitted Jews to enter. In 1668 Simon’s great-grandson, Juspa Joseph of Warburg, moved to Altona, near Hamburg, and in 1773 one of the latter's descendants moved into the great port city itself. There, in 1798, two Warburg brothers, Moses Marcus and Gerson, created M.M. Warburg & Co., which mostly brokered bills. The Warburgs' first claim to major prominence coincided with the life-times of five Warburg brothers: Aby (1866-1929), Max (1867-1946), Paul (1868-1932), Felix (1871-1937), and Fritz (1879-1964). Aby turned his back on finance and became one of the great bibliophiles and art historians of the twentieth century. Max and Paul worked diligently and patriotically for a German empire that had allowed Jews much freedom after centuries of anti-Semitic deprivation. By 1914, M.M. Warburg & Co. was the leading private bank in Hamburg, playing a top role in acceptance credits, foreign exchange, and securities operations. In 1895, the firm cemented ties to Kuhn, Loeb, and Company, Wall Street's second most important investment banking house, when Paul married Nina Loeb, daughter of one of its founders, and Felix married Frieda Schiff, whose father Jacob was the leading partner in Kuhn, Loeb and was himself a Loeb son-in-law. With Max and Fritz in Hamburg, and Paul and Felix in New York, the Warburgs could now boast strong global connections. Indeed, 1900-1914 was a high point of financial success for the Hamburg Warburgs, as they floated numerous government loans and enjoyed close ties to the Kaiser and the German Foreign Office. This summit would prove ephemeral, however, for it was followed by World War I, chaos in international banking, hyperinflation in the German mark, and, most ominously, a new German nationalism resulting from the Versailles Treaty that would make the Warburgs the most visible scapegoat for Nazi propagandists and their disillusioned, resentful followers. By 1938, after a 140-year existence, M.M. Warburg & Co. had been plundered and then "Aryanized" as Brinckmann, Wirtz & Co. by the Nazi regime. After World War II, the Warburgs persevered in resuscitating the family name in Hamburg banking circles, and Max's son Eric (1900-1990) succeeded in capturing control of the old firm and restoring the original name. In America, Paul grew weary of Wall Street and, having long been interested in importing European banking theories and practices, pushed certain basic reforms for U.S. finance--all of them tied to his vision of a central bank. In 1913 his brainchild, the Federal Reserve System, was enacted and President Woodrow Wilson appointed him a member of its first board of governors. Felix remained with Kuhn, Loeb but found time, like many other Warburgs past and present, to be extremely active in Jewish causes. He donated generously to philanthropy at home and to overseas relief efforts for impoverished and endangered Jews in Europe and pre-state Israel. For many years he was a leader of the Joint Distribution Committee, and in 1917 he was instrumental in bringing together 75 different charities to form the Federation of Jewish Philanthropies. In the generation succeeding the five Hamburg-born brothers, Max's son Eric, was notable for his attempts to reinvigorate a Jewish presence in post-Holocaust Germany; Paul's son James (1896-1969), moved in high government circles during the New Deal, was an intimate of John F. Kennedy and Adlai Stevenson, and wrote numerous books on government economic policies and international relations; and Felix's son Frederick (1897-1973), secured much business for Kuhn, Loeb through his well-placed connections and continued his father's high-level identification with Jewish philanthropy. The most successful of all the Warburgs, incidentally, was not a son of the five brothers but a nephew, Siegmund (1902-1982). Having apprenticed with Uncle Max in the 1920s, he later fled the Nazis for London, where he eventually developed this century's foremost global banking firm.